On the first week of October, Scottish Enterprise organised a ‘Cultural Tourism learning Journey’ to Liverpool. 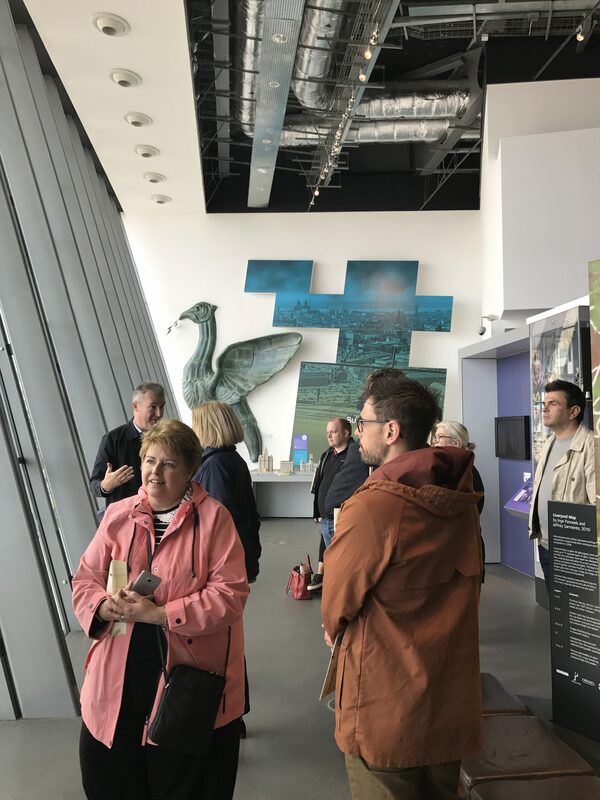 DAVAA members, Libby Reynolds from Redwood Leisure and Stuart Clark from Balmuirfield House B&B, joined other representatives of Dundee businesses on the trip that would look in detail at what has made Liverpool such a successful tourism destination. Since the early 80’s the city has grown its cultural offering and was rated as the UK’s 3rd best destination in the 2016 Tripadvisor awards. 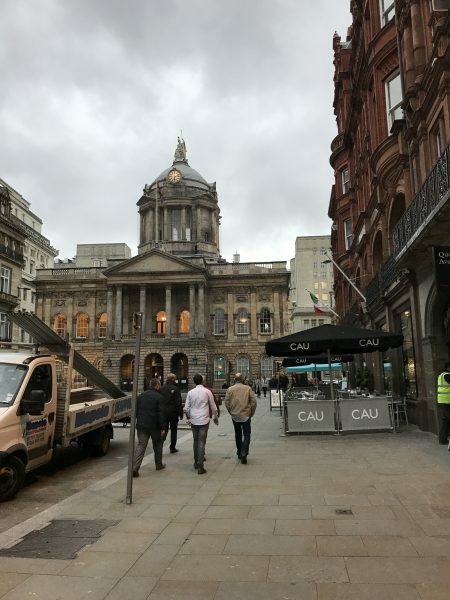 As well as being home to the Beatles and two very successful football teams it was also a European City of Culture in 2008 and is widely considered to be one of the most successful exponents of the award. The visitor industry is booming with an estimated value of £3 Billion per year to the local economy. It employs over 40,000 people and in 2015/16 welcomed 62 million visitors. With Dundee’s ambition to capture European City of Culture in 2023 our group was interested to benchmark our city and to see what initiatives Liverpool have taken to get to where it is now. From a DAVAA point of view, we were especially keen to see how the local accommodation providers, in the form of the Liverpool Hotelier’s Association, had evolved with a rapid expansion of hotel beds coming into the city. 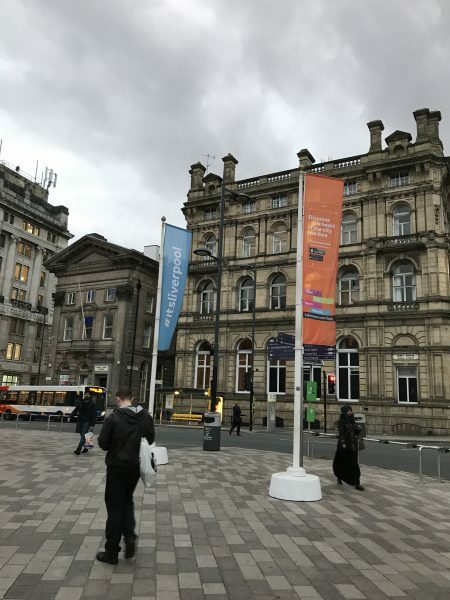 From the minute we arrived at our destination and at every subsequent meeting point, we were impressed by how each representative we met was ‘on message’ when it came to advertising the City. Liverpool is made up of five boroughs and each has its own part to play in the tourism sector. But all have come together to market brand ‘Liverpool’. With collaboration the City has also tapped into many knowledgable spokespeople who have a real pride and passion for their area. Our tour guides, Rachel Hampton-Aitken and Colin Bordley, were both very well versed in all the city had to offer. After a warm welcome from Bill Addy , who heads up the Liverpool BID Company, we were whisked off to our first meeting that afternoon with Tate Liverpool. Like Dundee with V&A, Liverpool needed its own boost of a major international renowned attraction to spearhead its rise. 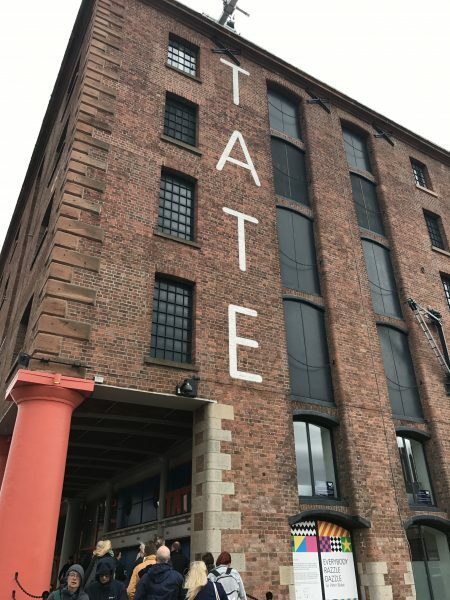 Tate Liverpool, situated within a converted warehouse in the Albert Dock, opened to much acclaim in 1988. Until 2003 it housed the largest collection of contemporary art in the UK, outwith London. We listened as Tate liverpool’s Director, Andrea Nixon and head of communications, Jemima Pyne spoke of their journey to bring culture to a part of the UK that had come through a period of industrial decline and was setting its stall out to capture visitors and redefine a city. European funding played a key part in facilitating a lot of what had been achieved and the museum’s ongoing challenge was to access funding where available to continue to perform at as high a level as possible. The conversation turned to the cruise tourism enjoyed by the city to the tune of the 60 cruise liners that dock on the Mersey each year. The terminal is a great asset for the city and this market has grown considerably over the past decade, adding £50 million to the economy over this time. 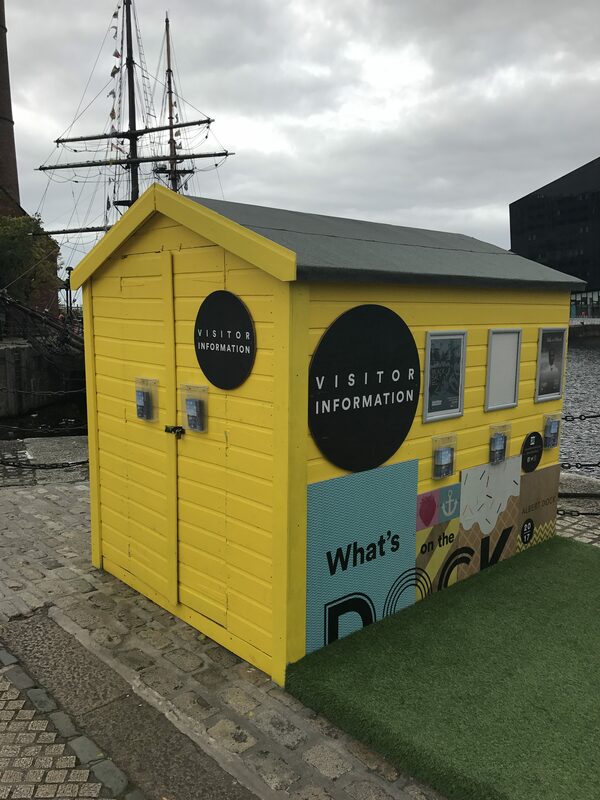 Like Dundee, passengers have instant access to the city centre and great efforts have been made to showcase the best of what Liverpool can offer cruise visitors. During the time around the 2008 City of Culture year 42 under-utilised acres of land in the centre were developed into the UK’s largest open air shopping area. Liverpool 1 as it is known, was developed in a way that people would come off a cruise and be drawn into the city from the dock and likewise through Liverpool to the Dock. Our next stop, was a walking tour with one of the Blue Badge guides, Paul Beesley. 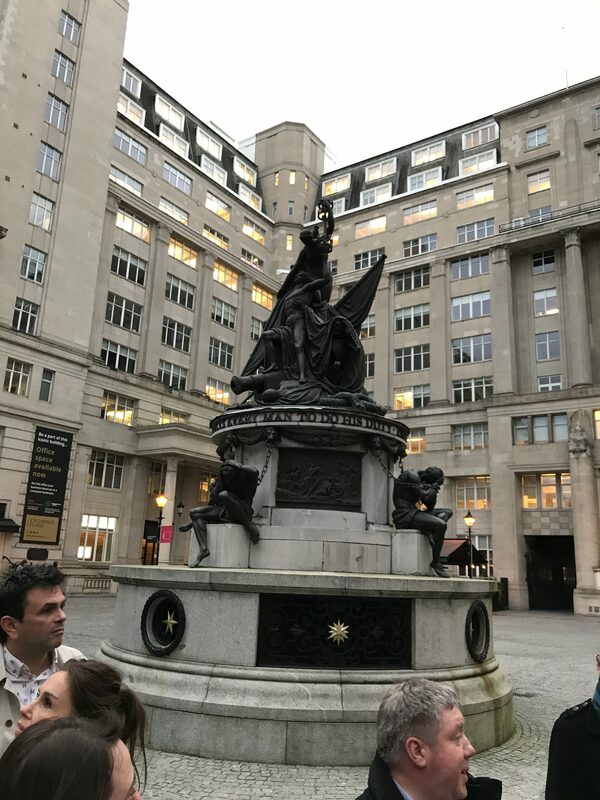 Walking tours are still a new concept in Dundee but Paul has worked full time as a guide in Liverpool for over 20 years and he relayed some of his experiences as we pounded the streets. Culturally and historically Dundee has plenty to offer and we can envisage more tours coming to the city as tourism develops. Our evening was topped off with dinner at the newly opened Art School Restaurant. Our second day started with a morning visit to the City’s town hall. In this very grand setting we heard from Peter Sandman from the Liverpool City Region local Economic Partnership (LEP). The LEP was formed in 2012 to bring together business and civic leaders to drive private sector led growth and job creation. Sectors such as the visitor economy, innovation, the creative sector and skills and education among others have a ‘champion’ to represent them on the board. The LEP and Combined Authorities (5 local councils) work together to deliver the Growth Strategy for the City Region. The LEP provides strategic advice and guidance on economic development priorities while the Combined Authority brings democratic accountability and oversight for the City Region, slightly different to how our own Dundee Council works. Next up, we listened to Alicia Smith talk about the developments there had been from the Council body, Culture Liverpool, since the explosion of interest created by the 2008 City of Culture. Culture Liverpool has a remit for events, cultural infrastructure, development and community participation, Liverpool Cruise Terminal, Liverpool Film Office, commercial sponsorship and income generation, visitor economy, including the Tourist Information Centres and Civic Halls including Liverpool Town Hall and St George’s Hall. A similar body in Dundee would be Culture & Leisure Dundee, although Culture Liverpool do not have the task of looking after the libraries, leisure and sports centres and are very much focused on using culture as a driving force for regeneration in the city. Before a word from one of Liverpool’s three mayors and a wee bit of ceremonial handing over of respective council plaques, Peter Smith from Marketing Liverpool said a few words. Marketing Liverpool is the destination marketing organisation for the city. It forms a branch of Liverpool Vision, which is the city’s economic development company and also looks after ‘Invest Liverpool’ and is managing the International Business Festival 2018. After a very quick lunch, it was off to the Baltic Triangle. No mystery here as Director. Mark Lawyer, explained in detail the history and ethos behind the redeveloped creative quarter that houses many of the city’s top talent. Through innovative funding and a vision to consistently improve a disused former industrial area the Baltic Triangle is attracting and nurturing many creative new businesses by providing affordable work space to a sector that needs it. The first development was to built individual sheds with a warehouse space. Each shed provided a work and office space to creative entrepreneurs, with a stipulation that each business had to be linked to the creative or cultural industry sector. We moved on to visit Bluecoat, the centre for Contemporary Arts. originally a school for orphaned children from 1717 – 1906, Bluecoat is Liverpool city centre’s oldest building and became the Uk’s first arts centre in the early twentieth century. Chief executive, Mary Cloake, described how the centre remiains central to the city’s cultural life, a symbol of Liverpool’s resilience and historic significance as a global port. 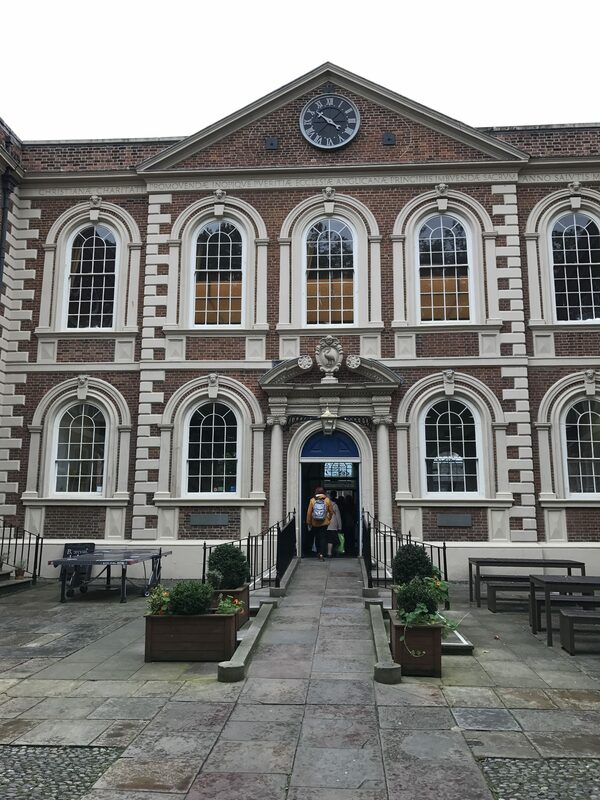 Indeed as our visit progressed it was clear that Liverpool is indeed an international destination and Bluecoat itself welcomes over 700,000 visitors annually. Our next stop was a most welcome one. Tea and Cake at the multifunctional “Leaf’. A tea room during the day and bar and gig space in the evening, Leaf brings its ethos of tea, music and good times to the vibrant and bustling Bold Street. An avantguard evening continued as we sampled authentic Indian street food at ‘Mowgli’ for dinner. The Liverpool food scene is blossoming and the recent introduction of a dedicated ‘restaurant week’ at the end of each January is helping to shine the spotlight on this thriving sector. The pace didn’t let up for our final day in Liverpool. 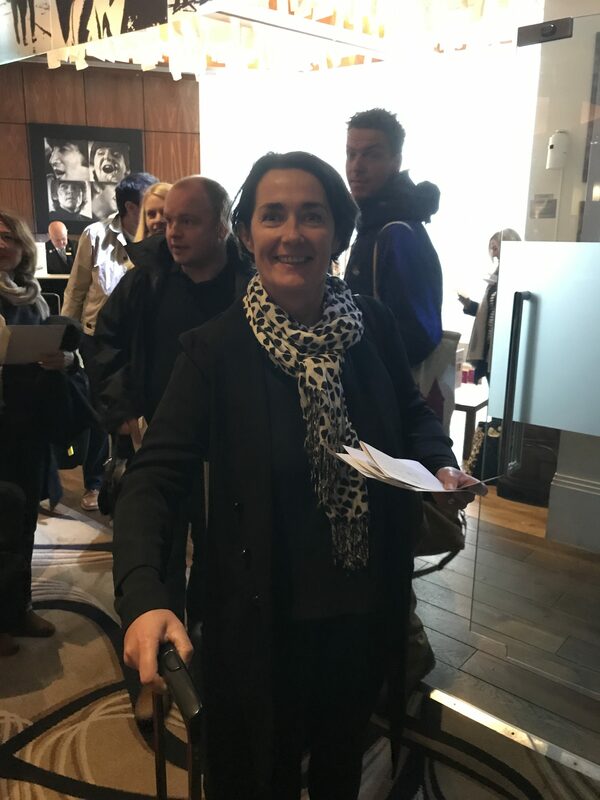 Our first morning meeting was with Clare Rawlinson, Head of Marketing for Gower Street Estates; which operates Albert Dock. 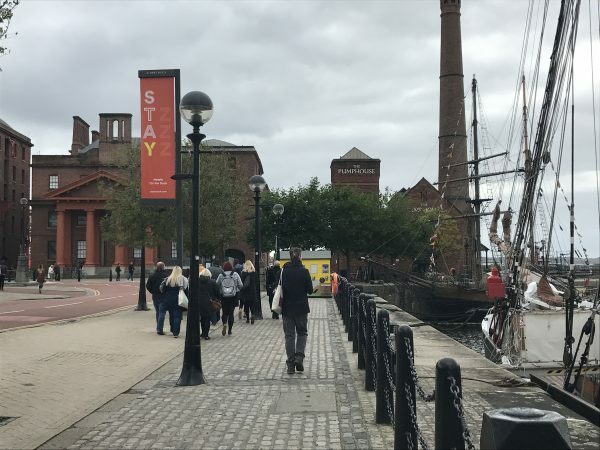 As the forefather of regeneration and tourism in Liverpool and one of the city’s first placemakers, Albert Dock is currently working towards delivering a programme over the next few years that will celebrate the Dock’s 175th anniversary. Albert Dock is a successful attraction that has witnessed steady growth in footfall and tenancy over the past decade. In 2015 it had a 6% year on year increase with over 6.3 million people movements recorded, plus a 19% increase in coach visitors, a 9% uplift in national visitors and good trading reported from all its tenants. We can easily draw comparison between Dundee’s own Victoria Dock and the potential plans, detailed in the Tay Cities Deal, to install a marina and possible naval museum which would make Victoria Dock a visitor attraction in itself. So, Liverpool has seven national museums. 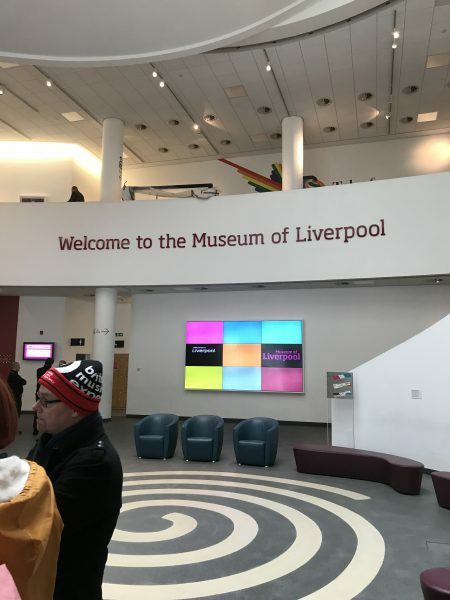 The International Slavery Museum, Merseyside Maritime Museum, Sudley House, Lady Lever Art Gallery, Museum of Liverpool, Walker Art Gallery and the World Museum welcomed over 3 million visitors last year. Interestingly only 14% were from overseas and the most visited attraction was the Maritime Museum. Will V&A Dundee bring a bigger percentage of overseas visitors to it’s door? After the presentation by head of marketing at National Museums Liverpool, Tracey McKeagh, we visited the Museum of Liverpool for a tour of Liverpool’s rich historical past – socialism, unions, industrial heritage, music and two football teams. Sound familiar? Our final presentation of the day was at the Malmaison Hotel by the Liverpool Hoteliers Association. We were keen to finally ask those burning questions to our fellow accommodation providers. Garry Fortune from Malmaison and Marcus McGee from Hilton delivered a talk on how the hoteliers association had focussed on recognising, developing and retaining talent within the city region whilst championing the interests of the hospitality industry by working with the business community and local government at levels to influence and drive key decisions affecting the visitor economy. The city centre has seen a rise in the amount of bed spaces, from 3100 in 2008 to 7100 rooms by the end of 2016. This doubling of the available accommodation was in line with customer need in what is the 3rd most visited city in the UK and the Association’s members occupancy levels from 2012 – 2016 have risen steadily from 68.8% to 76.1%. Liverpool already had a steady weekend trade, especially from the football trade and the hotels were initially worried that as the city grew in tourism there would not be enough rooms to service the travelling football supporters. Additional hotels eased these fears although with additional rooms the level of midweek occupancy is not where most hoteliers would like it to be and something they would like to improve. One initiative the LHA has implemented was to place advertisement stands/banners in the hotel foyers showing forthcoming events throughout the city. This was done to encourage repeat business. Bringing our membership together to collaborate in a similar way could provide rewards for Dundee and Angus. 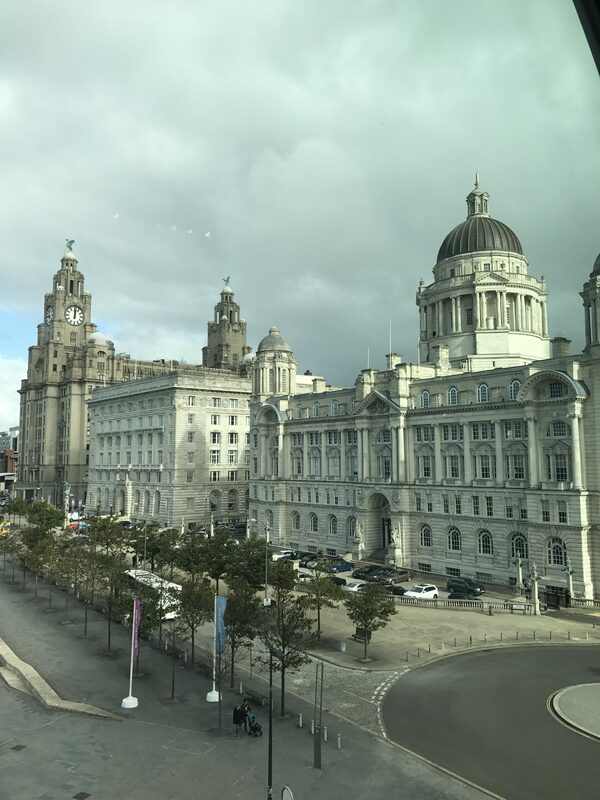 Their Association, which has 40 members, has recently taken steps to merge (Sept 17) with the local Restaurant Association to become the Liverpool Hospitality Association. One of its key aims is to encourage young people to consider hospitality as a career as there is currently a shortage of workers in the city. A stipulation of membership is taking on two apprentices per year and offering work experience to school pupils. Both Liverpool and Dundee have a high percentage of student to locals ratio, which adversely affects revenue when students leave for holidays (more so in Dundee), but both have to deal with the seasonality of employing said students. A delightful and well needed lunch at Malmaison was the last order of business before we headed for the bus. It was homeward bound and as we drove north the information we had received on the tour could be processed and filtered. What had we learned that could be applied to Dundee and Angus? It was clear that the role of their local Authorities was a different one where they were involved in the tourism sector but they were not leading it. Through partnership with the private sector the city was able to come together and drive a vibrant visitor economy. Much of Dundee’s future success will rely on V&A Dundee and the outcome of the Tay Cities Deal and the European Capital of Culture 2023 bid. Hopefully DAVAA will have an important part to play in delivering success to both Dundee and Angus. 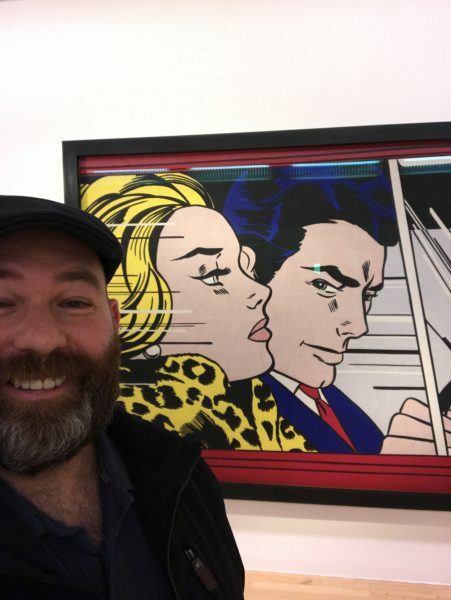 The ever present on our trip was the continuity of message from everyone we met, from the director of a museum to the waiting staff serving in a cafe. The message was ‘Welcome to Liverpool’ said with pride and passion. Equally, we should get behind Dundee with our ambition to make our city a world class destination.